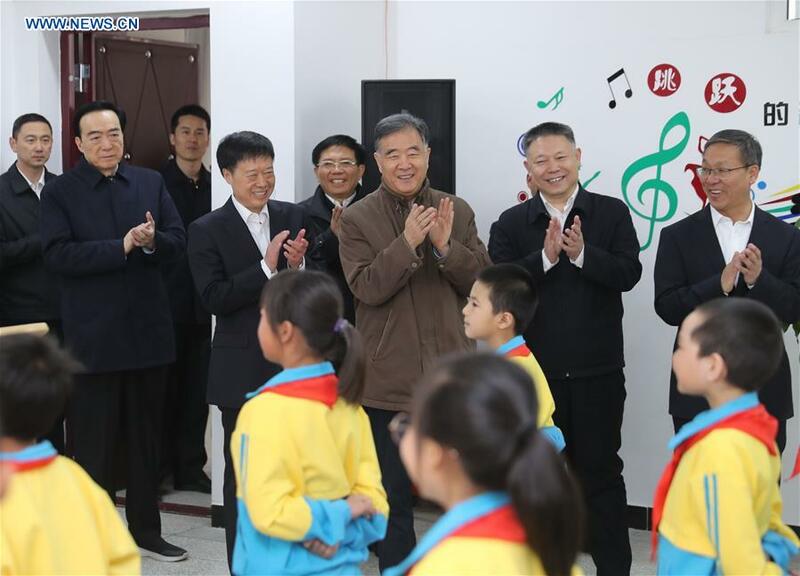 URUMQI, March 25 (Xinhua) -- Chinese top political advisor Wang Yang has stressed social stability and ethnic solidarity in Xinjiang Uygur Autonomous Region during an inspection tour. Wang, chairman of the National Committee of the Chinese People's Political Consultative Conference, China's top advisory body, said that solid work should be done on various fronts to maintain social stability in Xinjiang. "Attention should be paid to resolving fundamental issues that affect long-term peace and stability in the region," Wang said. He said the general situation in Xinjiang has been continuously stable and keeps on improving, and people's sense of gain, happiness and safety keeps growing. He asked local authorities to maintain high pressure on the "three forces" of terrorism, separatism and extremism while guaranteeing people of all ethnicities are entitled to the same rights and obligations. He stressed the protection of fine traditional cultures of ethnic minorities and ensuring the needs of religious people are met and their customs respected. He noted that persistent efforts should be made to alleviate poverty in Xinjiang through industrial development and consumption boost and to empower impoverished people to rid themselves of poverty. He also urged Xinjiang Production and Construction Corps to continue deepening reform on major areas and go to all lengths to develop into the southern parts of the region. Wang visited Kashgar, Tumxuk, Ili and Urumqi from Wednesday to Monday and held several symposiums with local authorities. He also held a symposium with some national political advisors in Xinjiang.